Why your Business needs a VPN | Business Forward! A day doesn’t go by when you don’t hear or read about a data breach or a cybersecurity issue affecting a business or individuals. It’s virtually impossible to ignore the world of connectivity as it relates to us personally and professionally. Important information is being disseminated into the airwaves often times with little or no protection. There is good news for you and your business. You can offset some of this potential liability with a VPN, or Virtual Private Network. Regardless if you don’t know anything or much about it, you should seriously consider having a VPN, because it can be as important as your Internet connection. Let’s go over the basics first. A VPN allows users to use the internet in a much more private fashion, via an encrypted tunnel, so to speak. It uses a group of computers networked together over a public network like the internet. These connected computers are a virtual version of a secure, physical network. They are linked together so they can share information by securing internet traffic with encrypted connection over networks that are less secure. While the technical details are important, you just care that the system works and protects you. Now that we have a handle on the technical aspects, how does this network actually help me in the day-to-day running of my business? First, a VPN lets you and your employees access your company’s resources, such as files, apps, printers and more, on your office network securely. You can also set up a VPN for your home network, so you can access it when you are away. In plain English, a VPN encrypts the information you send and receive, and hides your physical location, identity and web history while protecting the privacy of your web experience. If you do business abroad, a VPN can be very beneficial. It allows you to be able to use your services from the United States. This can make doing a simple task such as purchasing airline tickets much easier. Also, the same applies to accessing an online bank account that will not be accessible from another country of origin. In some countries like China, without a VPN, it becomes pretty much impossible to even communicate, or do much of anything. In today’s world, much of our business is done in public, outside the office, in places like coffee shops and airports. It’s an easy way to hook into their wireless signal, as they both commonly offer high-speed internet, and abundant electrical outlets. The downside is security. Your data being transmitted is completely unencrypted. This makes it a relatively easy task to intercept the data via packet sniffing. With a modern VPN protocol, the wireless connection can be used safely, as it gets encrypted via 256-bit encryption that meets governmental Top Secret protocols. According to security firm People Driven Solutions, the statistics are quite alarming. 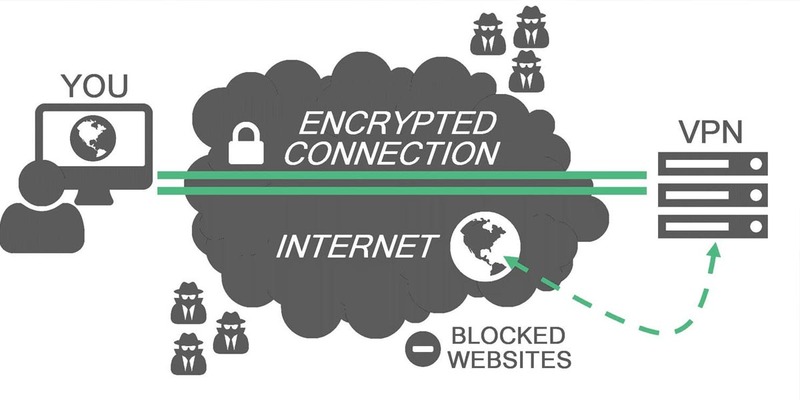 “43% of attacks are focused on small businesses, and 60% of businesses go out of business within six months of a cyber-attack.” A VPN, with its highly encrypted tunnel, is a great defense from cyber-attacks, with protection for company assets, which is stronger than a traditional firewall, and therefore more secure from a data breach. At the end of the day, with the right VPN service provider or one that you create, your business can have a secure network your employees can use to communicate and access company resources no matter where they are. I’ve been hearing about business security and VPNs pretty often recently, guess it’s really worth considering. And it looks like VPN providers are stepping up, check this article on medium. It sounds pretty useful, to be honest, and the first pick has a really good discount, might just try it first for personal use though.